Mordechai Vanunu, Israel's nuclear whistleblower, was jailed in 1986 for publishing photographs of Israel's nuclear bomb factory at Dimona. Olenka Frenkiel reveals the extent of Israel's nuclear gagging. Vanunu has spent 17 years in jail, 11 of which were in a minute solitary confinement cell - and he has just had his appeal for parole denied. He will stay in jail until 2004, when his term is expected to end. Sunday Times journalist Peter Hounam heard rumours in 1986 that an Israeli whistleblower was offering proof of what the world had long suspected. His revelations confirmed that Israel was building advanced nuclear weapons. After the Sunday Times published this scoop, Vanunu was lured to Italy and kidnapped by Mossad agents and illegally smuggled back to Israel. He was tried in secret and convicted of treason and spying. In court, at his parole hearing, Avigdor Feldman, Vanunu's lawyer, argued that his client had no more secrets and should be freed. But the prosecutor had a new argument: the imminent war with Iraq. After the hearing Mr Feldman told Correspondent: "The prosecutor said that if Vanunu were released, the Americans would probably leave Iraq and go after Israel and Israel's nuclear weapons - which I found extremely ridiculous." 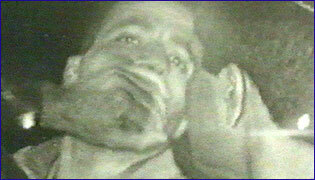 The real force blocking Vanunu's release is a man who was known only as "Y". In 2001, "Y" was exposed as Yehiyel Horev and it is said that the only thing he fears is publicity. Mr Horev is the head of Israel's most powerful intelligence service, dealing with nuclear and military secrets. His accountability has only been to the many prime ministers he has watched come and go in the 16 years he has built his power base. He has been likened to the head of the FBI, J Edgar Hoover - an autocrat out of control. Ronen Bergman, security correspondent for one of Israel's leading newspapers - Yediot Ahronoth - says: "Horev is a grave danger to Israeli democracy. "He operates with no law, no real scrutiny and no monitoring by the Israeli parliament. "Horev was afraid that veterans of the Israeli intelligence and the Israeli nuclear effort would try to maintain their footprint in the history of Israel and tell their story. "He wanted to frighten them." Israel never confirms or denies claims that it has nuclear, chemical and biological weapons. The country positions itself outside international treaties, which would make it subject to inspection. For 40 years, most Israelis have been content with this policy - known as "nuclear ambiguity". But there are some in Israel who argue this policy has had its day. They say the costs of such secrecy to Israeli democracy are too great. Uzi Even, was a young scientist working, in the 60s, at Dimona - Israel's nuclear reactor - as did Vanunu. Today, Mr Even says it should be shut down. Forty-year-old reactors tend to have accidents and he believes that Dimona, which is beyond the reach of the Israeli parliament, needs to be brought into a system of accountability and public scrutiny. Mr Even explained: "You should have an outside watchdog. "The secrecy more or less created an extra- territorial area in Israel where standard procedures of safety monitoring are not implemented. "So worker safety, environmental questions and industrial safety procedures, are not covered, and there are thousands of people working there." Nothing illustrates this better than the sensitive issue of Dimona's cancer victims. In an Israeli documentary in 2002, Dimona workers said accidents had been routine. They spoke of explosions, fires and liquid and toxic gas leaks that they had to clean, often without protection. The authorities denied they had worked with radioactive materials. They have refused to compensate them or their families for their years of loyal service. Because of the strict secrecy rules they were even unable to fight for their rights. When Correspondent approached one of the workers, who was dying of cancer, he refused to be interviewed - but with some regret. Unaware he was being filmed, he said: "I wanted to talk to you but I have been silenced. "They came from intelligence and told me not to talk. "They said I would be like Vanunu." Vanunu has another year in jail. When his sentence is finished he hopes to emigrate to America. But Mr Horev has clearly let it be known he never intends to let Vanunu leave Israel. Mordechai Vanunu has been nominated for the Nobel Peace Prize for 2003. It was unfortunately necessary to postpone the billed programme "Israel's Secret Weapon" on Sunday night due entirely to the overrun of an unscheduled news bulletin about the Azores summit. It is sometimes necessary to make last minute scheduling changes, and with events around the Iraq conflict so fluid at present, this is particularly the case. The programme was transmitted at the first available opportunity and the BBC trailed and promoted the new schedule to direct audiences to the programme from Sunday night and through Monday. There is no suggestion that any political pressure affected a scheduling decision by the BBC. Israel's Secret Weapon was broadcast on BBC Two on Monday, 17 March, 2003 at 2320 GMT. "He was going to provide incontrovertible evidence"
"He was a traitor to his country"